Fifty years after John F. Kennedy’s death, we find ourselves enmeshed in an era of political division and cynicism, where politicians talk past one another and the spirit of “Ask not what your country can do for you—ask what you can do for your country” is less visible than it should be. We seem to have forgotten that we’re all on the same team. Fortunately, Scott D. Reich has given us The Power of Citizenship, a timely book to bring us back on track. Reich asserts that the most powerful element of Kennedy’s legacy is his emphasis on the theme of citizenship, and that a rededication to the values Kennedy promoted will shine a bright path forward for our country. Evoking the hopes and aspirations of the 1960s, Reich recaptures the excitement of the Kennedy era. But what truly sets this book apart is the unique way it blends the romance of Camelot with the new frontiers of today—not only identifying modern challenges, but also offering a tangible blueprint for how we can improve our public discourse, be good citizens, and lift our nation to new heights of greatness. 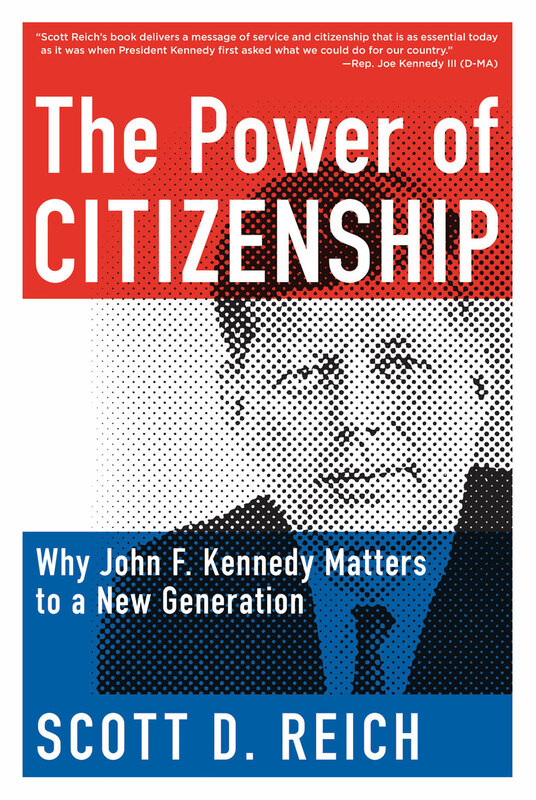 Part history and part call to action, The Power of Citizenship hones in on the very essence of what made JFK so inspirational and timeless, reminding us once again that we must ask what we can do for our country. This is a must-read for Americans of all generations. Scott D. Reich is a practicing attorney at Willkie Farr & Gallagher LLP in New York. In 2010, he was appointed by the Governor of New York to serve on the College Council of SUNY College at Old Westbury. He serves on the national board of the Union for Reform Judaism, the board of directors of the School for Language and Communication Development, and the board of trustees of Temple Sinai in Roslyn Heights, New York. He has done pro bono work for the Brooklyn Family Court and the New York Legal Assistance Group. Reich earned a B.A. in history and communication from the University of Pennsylvania and a J.D. from the University of Pennsylvania Law School, where he was president of his class.